Nestled deep in the first floor of the Cincinnati Art Museum lies a beautiful example of what I believe is the most effective and most prosperous way to connect to those we love. This piece represents equality between the sexes and devotion to children. 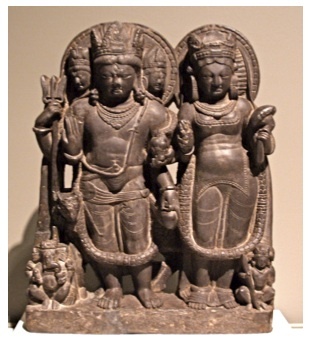 Although the artist is unknown, it is titled Stele with Shiva and Parvati. 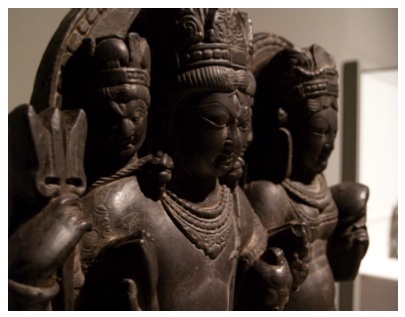 This incredible sculpture dating back to somewhere around the 10th or 11th century portrays the divine family of Hindu gods– Shiva, Parvati, Skanda, Ganesha, and even Shiva’s pet bull, who is hiding in between them all. They are dressed in what appears to be clothing that was a popular style of dress in Kashmir and northern India. Their overall presence evokes feelings of protection and security through the use of family inspired artwork. Both parents seem to “stand guard” of the children. 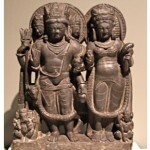 Shiva, the figure on the left, is the god most often recognized for both destruction and renewal. He has three heads, each of which reflect his different attributes. 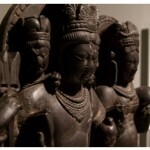 Shiva is carrying a trident, which often symbolizes the beginning, sustaining of, and finally, the end of the universe. 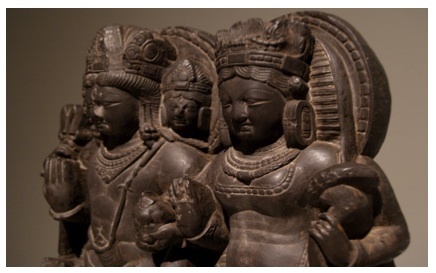 Snakes, as show in this image, are also often represented with Shiva, representing regeneration and rebirth. Parvati, the goddess on the right, was considered to be a dedicated, loyal, loving female who was able to draw Shiva out of a cave n which he’d been hiding in after the death of his first wife. Beneath them are the children, Skanda and Ganesha. Skanda is on the lower right side while Ganesha is on the left. 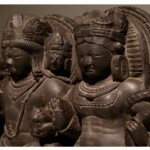 Skanda was later regarded as the authoritative leader of all the gods and also the destroyer of evil forces . Ganesha, the elephant deity, was considered to be the “ Lord of Success and destroyer of evils.” Ganesha was also revered as a leader in selflessness and humbleness. Although it is more common to see the male and the female as separate sizes– the woman is usually smaller– the artist gave them a sense of equality, connected by their beaded headdresses. These four family members are portrayed in a regal stance of unity, yet also entirely independent of each other. The lines are very clearly defined and the color is a light shade of brown with hints of gold and red in the schist. 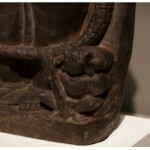 It is rough in texture and meant to be attached to a building for decorative and religious purposes. 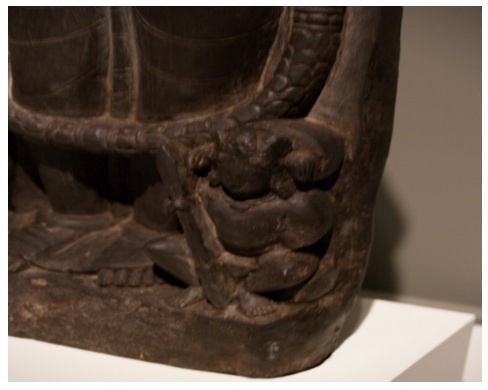 The incredibly pristine detail of this sculpture makes it appear more recent in quality. The image of the family of gods really evokes emotions of warmth, refuge, and safekeeping, capturing importance this culture placed on the family unit. The exceptional rendering of the features of each member of the family members really allows the audience to feel as if they are getting the opportunity of a lifetime– to see a god, or a child of god, up close. The composition is very important to the piece, as it reflects the expressions of an ancient culture and a peek into their thoughts. All pertaining ideas revolve around the family clan. The beauty and stillness of this piece is amazing. These figures appear so royal, so aristocratic yet very mysterious and unique. I find the emphasis of unity is incredibly valuable in today’s world. The togetherness and equality of the male and the female and of the family unit is inspiring.